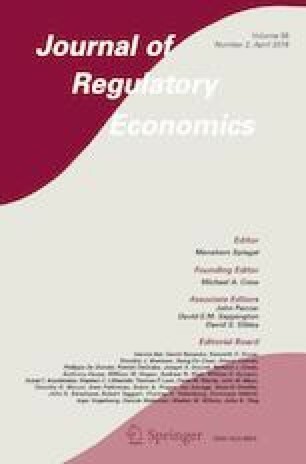 Despite a developing literature exploring the relationship between regulation, taxation and business startups, few studies have utilized artefactual experimental methods to link the choices made by entrepreneurs to an underlying regulatory framework or tax system. Using information collected from a discrete choice experiment where 182 small business owners and entrepreneurs made eight start-up decisions, we describe the effect of state-level government intervention in terms of an entrepreneur’s choice to start a business. The design allows the generation of data on entrepreneurial choice of institutional setting for new business formation, which are difficult or impossible to observe in natural settings from surveys. We find that over 80% of entrepreneurs are likely to respond adversely to regulatory and tax legislation such as mandatory licensing, income taxes, and time to register a business. Results confirm that, at least in the short run, highly regulated business environments are less likely to foster entrepreneurial market entry. Additionally, a non-trivial fraction of entrepreneurs will choose not to start a new business, even in the presence of low taxation and regulatory burden. Funding for the study was provided by the Institute for the Study of Free Enterprise at Oklahoma State University. Planet Money Podcast. (2016). Episode 699: Why did the job cross the road? NPR Public Media. https://www.npr.org/sections/money/2016/05/04/476799218/episode-699-why-did-the-job-cross-the-road. Vaupel, A. (2017). John Oliver uses KC to demonstrate how ‘pointless’ incentives are. Kansas City Business Journal. https://www.bizjournals.com/kansascity/news/2017/11/07/last-week-tonight-john-oliver-kc-incentives-video.html.